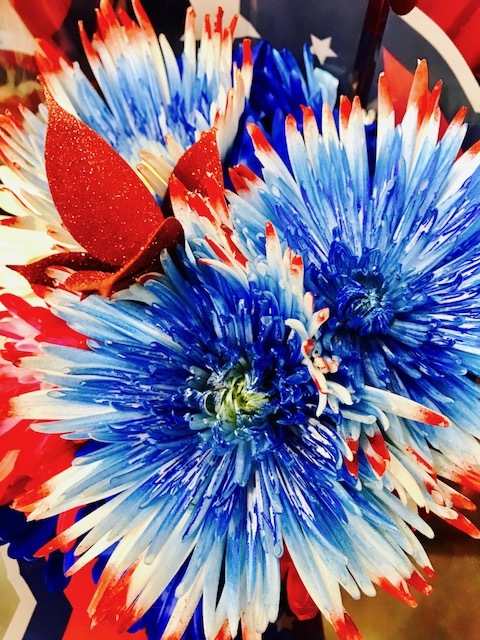 Wow, these flowers were made for 4th of July, right? How amazing that G-d (maybe with some man adjustments) made these beautiful red, white, and blue flowers--all-in-one! It's truly fantastic to have independence, freedom, human rights, democracy. And there is so much that the world can learn and benefit from America. We're not perfect--nobody and nothing (but G-d) is.